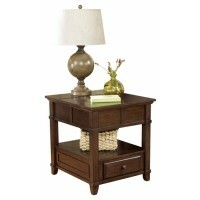 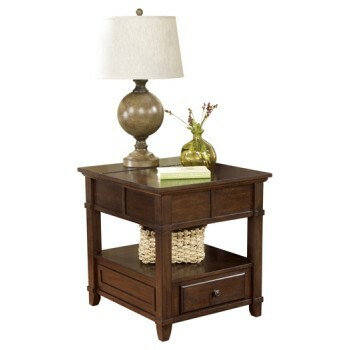 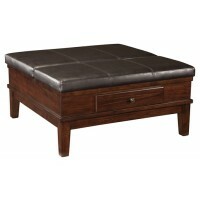 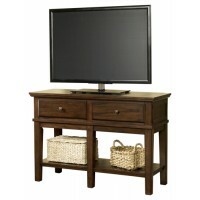 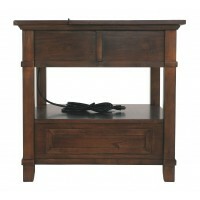 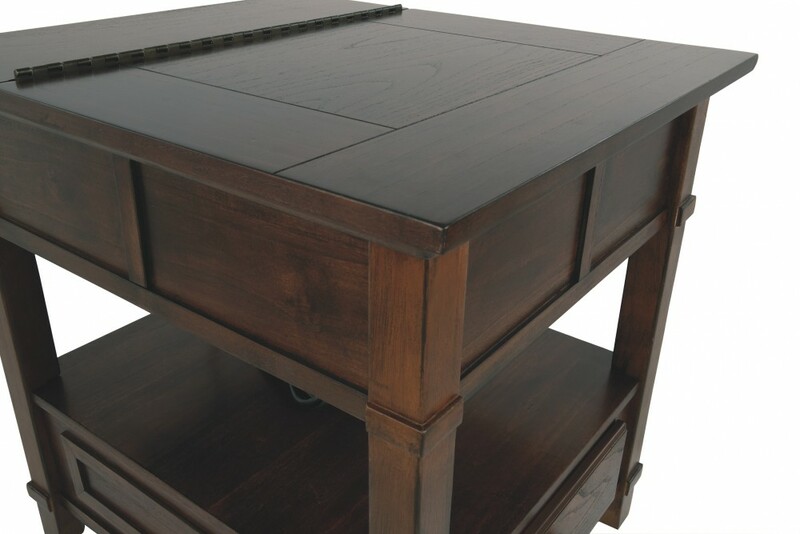 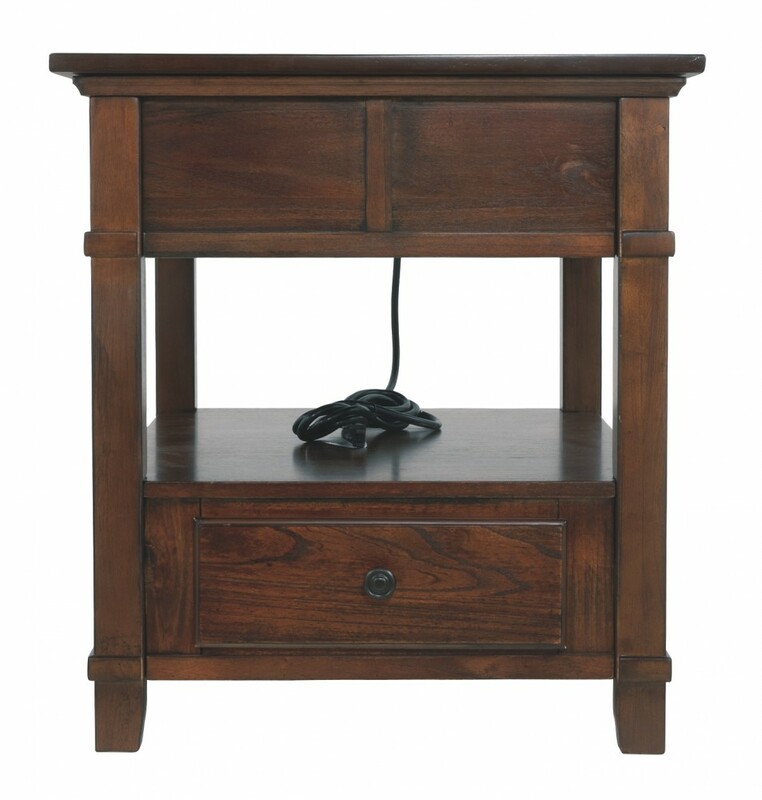 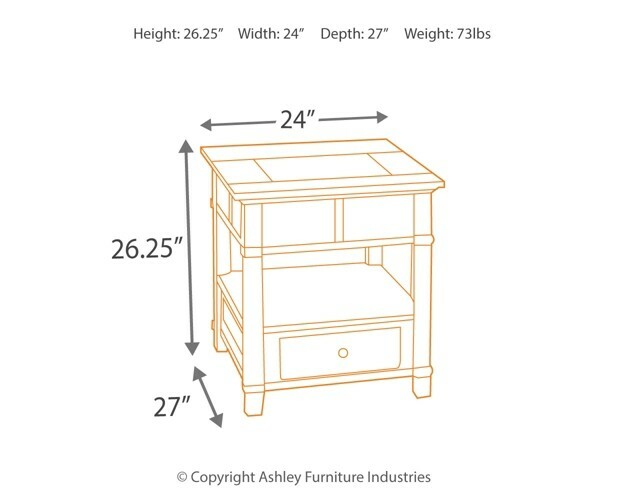 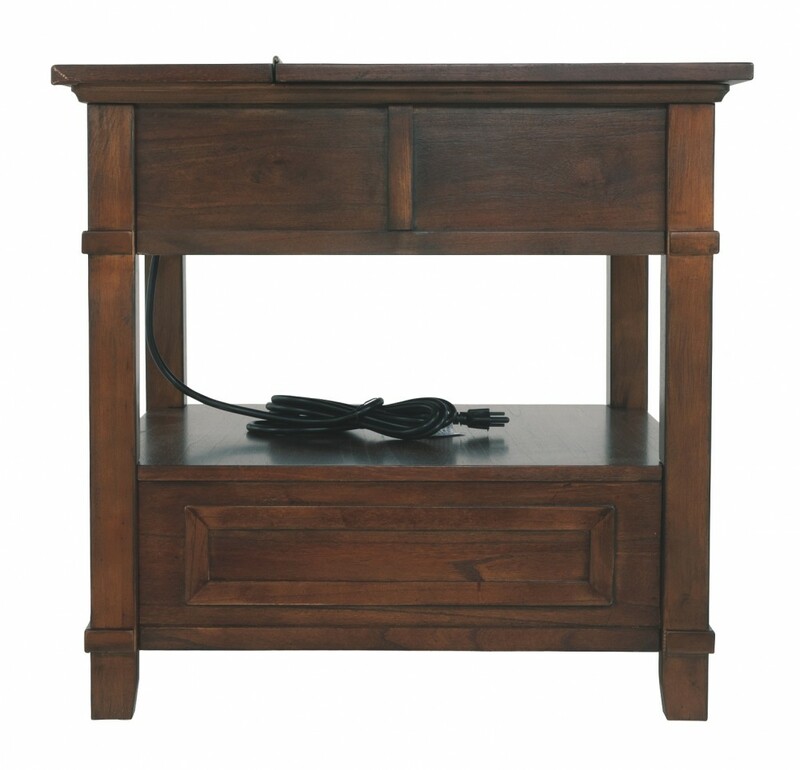 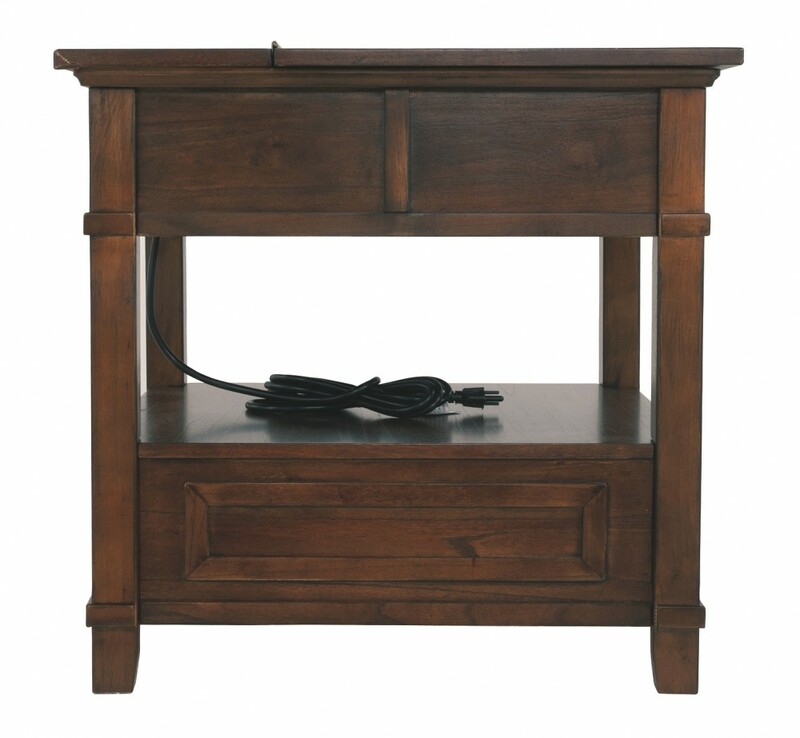 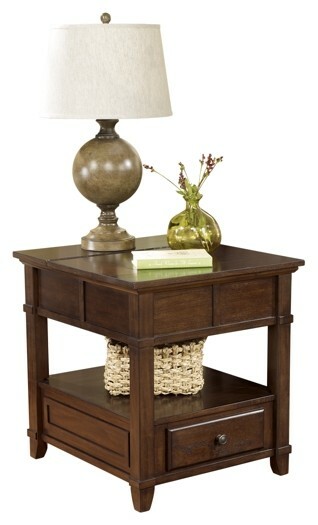 With this end table, style and functionality go hand in hand. 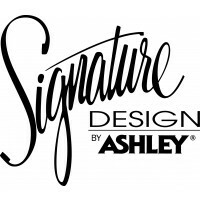 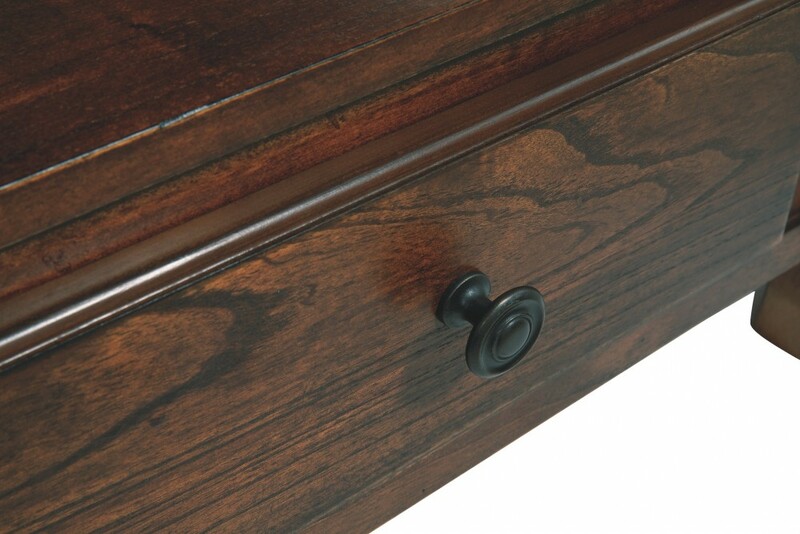 Subtle moulding adds flair, while the finish blends well with a variety of color schemes. 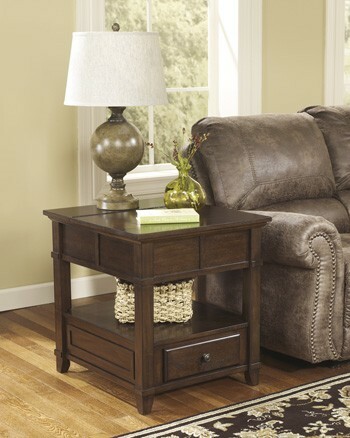 Hate clutter? 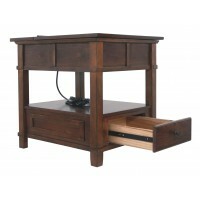 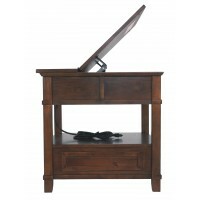 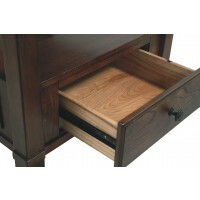 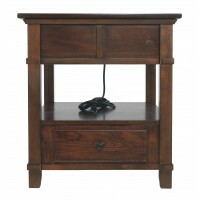 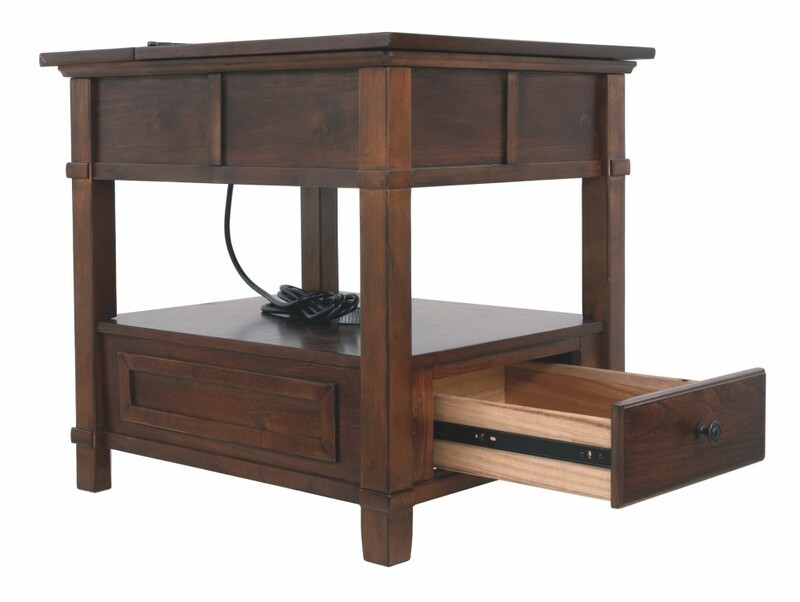 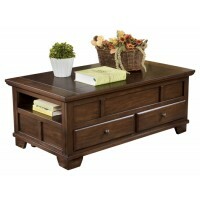 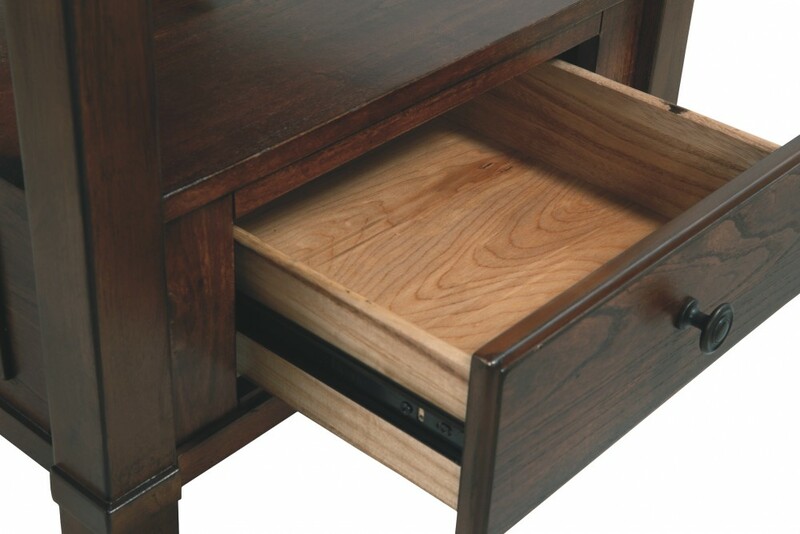 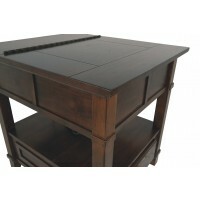 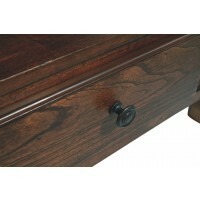 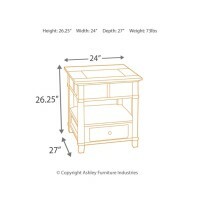 Store books, remotes and other odds and ends in table’s handy drawer or on fixed shelf above. 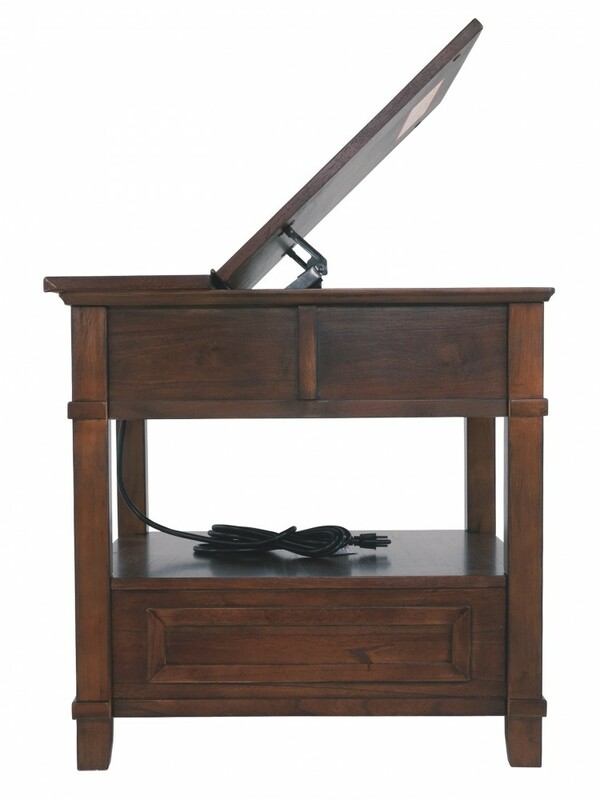 Hinged top opens to reveal power strip with three electrical outlets.